At Fort Valley State University, the iHelp Program is helping students develop some of the most critical skills they’ll need for future employment even as they serve the community. Through the newly formed Office of Civic Engagement, Leadership, and Professional Development, students are not only connected to volunteer opportunities in the surrounding communities, but they are also provided with mentoring and professional development training as well. Through the iHelp Program, Williams and her office are strategically working to identify local opportunities for students to receive critical hands-on training and internships in places that need reliable and trained volunteers, like schools and hospice centers. 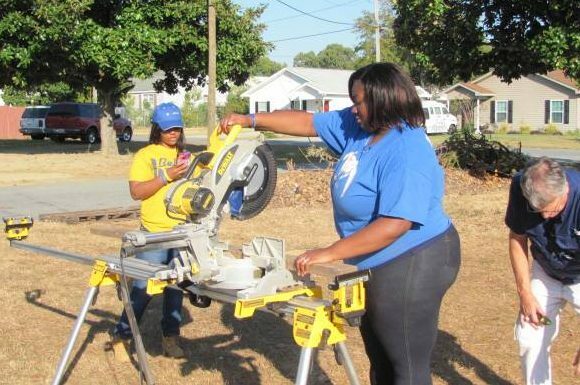 The iHelp Program provides students with opportunities to give back through community cleanup efforts, food drives, and serving meals at homeless shelters, and FVSU has placed emphasis on providing students with opportunities to improve their soft skills at the same time. “We are responding to a need in the community where leaders have shared that they need students to have better soft skills,” Williams said, alluding to proficiency like having a strong work ethic, positive attitude, good time management, being a team player, and being able to receive feedback and criticism. The problem is so severe, Williams said, that business leaders have resorted to creating their own programs to teach new hires skills like professionalism, proper business attire, common courtesy, and sending business emails. 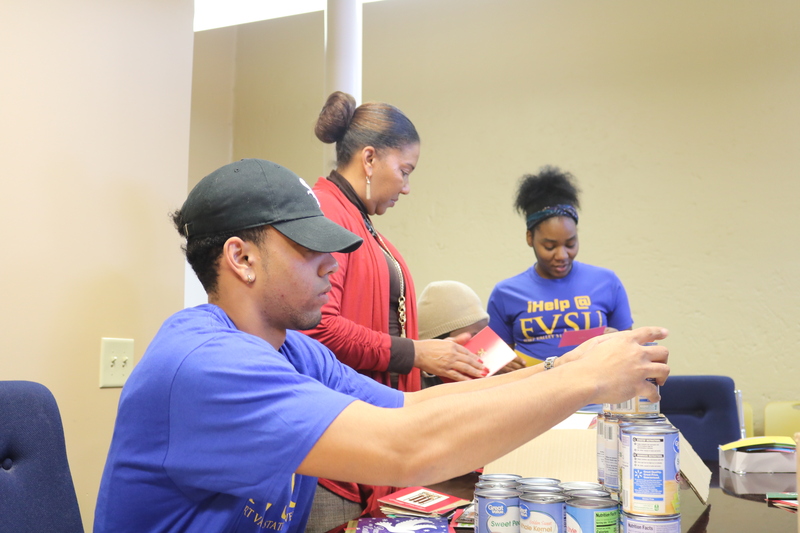 Director LuWanna Williams (center) works with students to prepare holiday cards and canned foods to deliver to the military, nursing home residents, and the local community. Shifting the focus of campus volunteerism efforts to better support the surrounding communities with consistently well-trained students has also meant changing practices and attitudes both on and off campus,” Williams said. iHelp is now the hub for all campus volunteering efforts, for example. All incoming freshmen are now required to have 120 hours of service, internships, or job shadowing to graduate. Williams said because of the new requirement, she has already witnessed a change in how involved the freshman class has been on campus. The community has responded positively to the changes as well, she said. “The people in the community have been absolutely wonderful about embracing the changes,” Williams said. “They wholeheartedly agree that this has been a need. One of the other challenges in shifting the campus culture, Williams said, has been in securing buy-in on the one- stop-shop concept for student internships and mentoring opportunities. One of the most significant improvements has been in adding all the training opportunities into a searchable computer database for the students. Williams said that despite the hurdles, she is seeing the needle move forward. Her next goal, she said, is to marshal additional resources, add more staffers as the program grows, and provide transportation to help students attend off-campus opportunities. Some of the partners, however, are so invested in the program’s success that they pick up volunteering students twice a week. “We’re getting calls for meetings and businesses requesting volunteers every day,” said Williams.